It's alive! 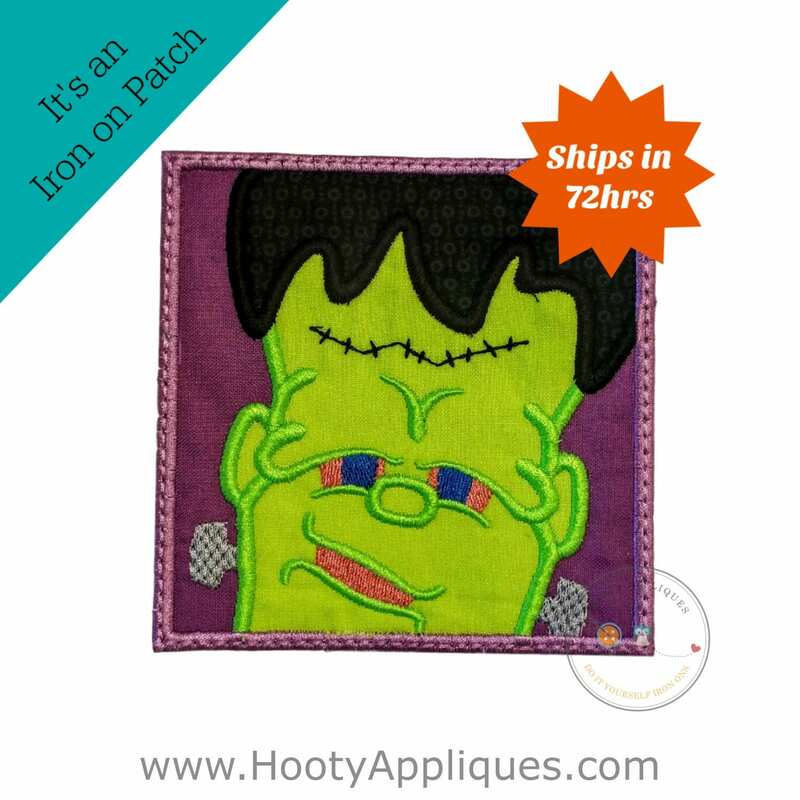 Bright neon great Frankenstein in a spooky purple trimmed box Halloween iron on applique. •	Measures 4.25 inches tall and4.25 inches wide. •	Made with cotton fabric. 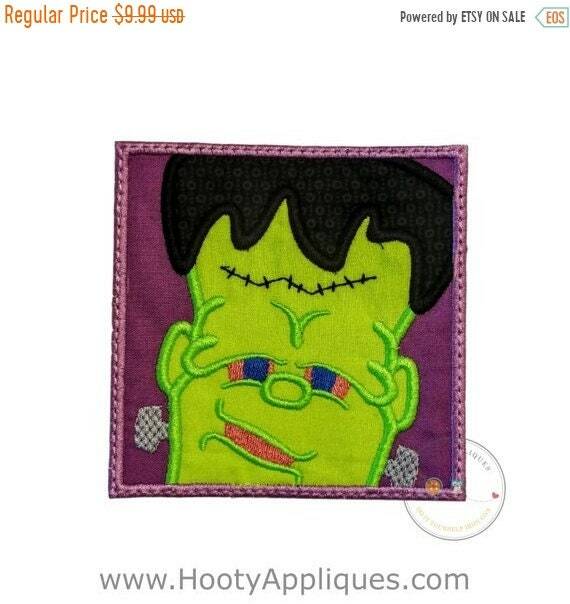 •	Apply with a household iron or sew then on.